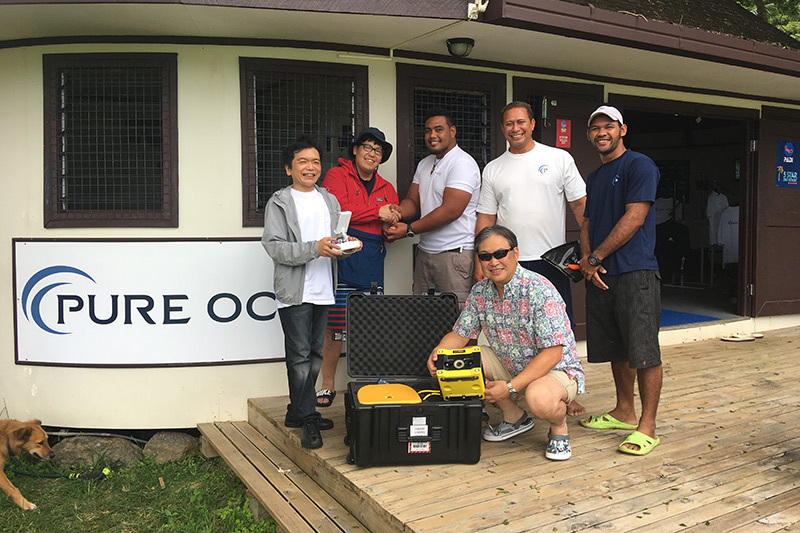 Last week the team at Pure Ocean had the pleasure of bearing witness to the very first open water dive of a new underwater drone. Using its 100m tether, connected to a remote control with a built-in display to show the operator its location, the drone sank beneath the shimmering surface of the South Pacific Ocean. The drone successfully completed its first open water dive at our local site Aggie’s Reef Fishbowl, which is home to elegant species such as fusiliers, bannerfish, nudibranch and turtles. Hopefully, there will be many more dives to come for the plucky little explorer. Happy Anniversary to Ta! Welcome to the underwater world Angus!